Hey there! Today I wanted to share with you guys my latest experiment involving watercolors, canvas and three ballerinas. 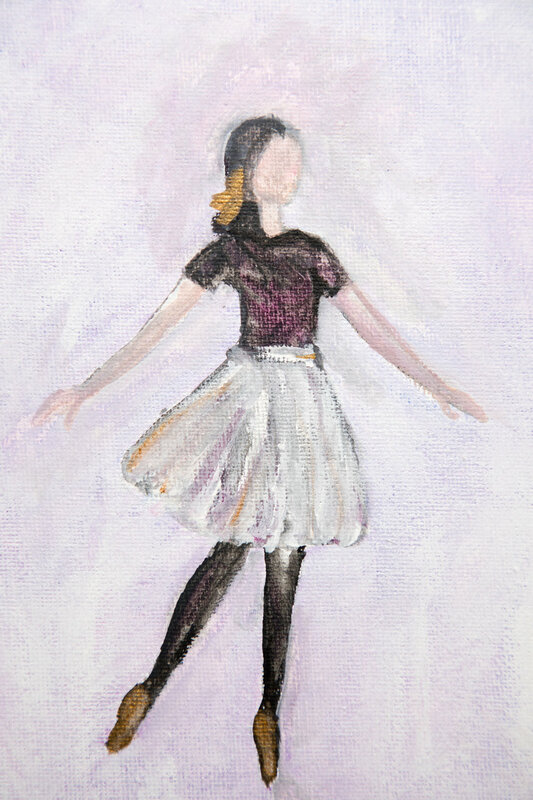 I was inspired by a painting in my own living room of a ballerina in oil painting. It was the plan all along to do three different poses of the same ballerina and keep the colors of the background very light and pale. I decided to gift all three paintings to my mother for Christmas, but I might put a print of each of them up for sale... Anyway, I used tubed watercolor paints for most of the painting and my Finetec Pearl Paints for the details in the hair, skirt and shoes. If you would like to see a speedpaint of one of the paintings you are welcome to visit my Youtube Channel where I put up a video showing and explaining my process. And otherwise remember to stay tuned, as I update both this blog and my Youtube channel fairy frequently.